If you’re a passionate traveller and carry a smartphone or a camera or both , there are high chances that you love photography as well. 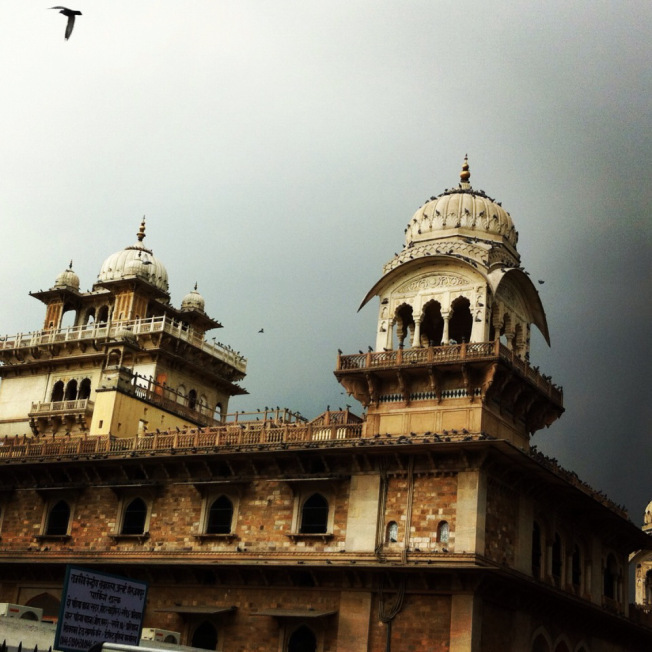 Apart from eating and dancing in rain, there is one more thing that carries its own charm in monsoons, Photography ! So if you are a local or a tourist who is luckily in Jaipur right now, these are the places that can be captured through your lens but touch your heart instantly and will stay there forever. 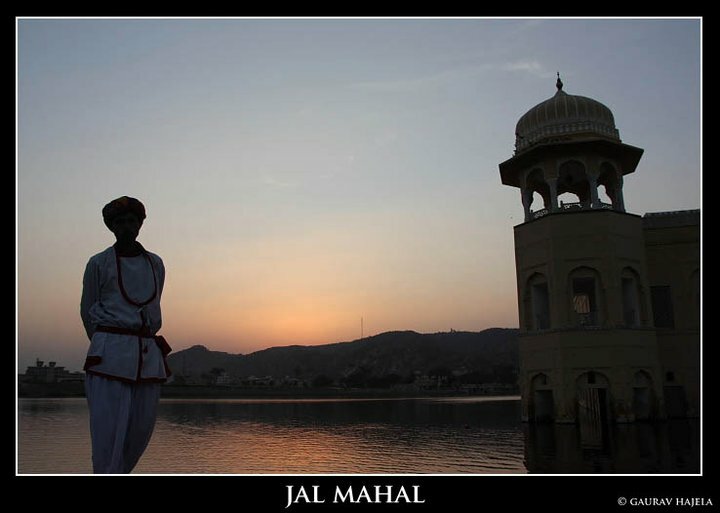 Jal Mahal or Water Palace, where every Jaipurite or visitor of Jaipur would just love to just sit by and watch the magical lake and mesmerizing architecture of the palace. Sunrise and Sunset are the best times to get some terrific shots at this place with a perfect blend of nature and architecture. 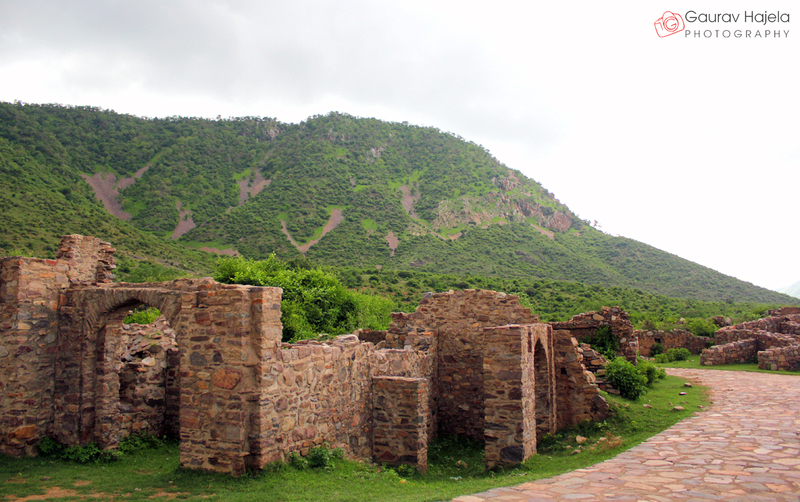 We doubt you haven’t heard of the “Most Haunted” place of India : Bhangarh Fort ! 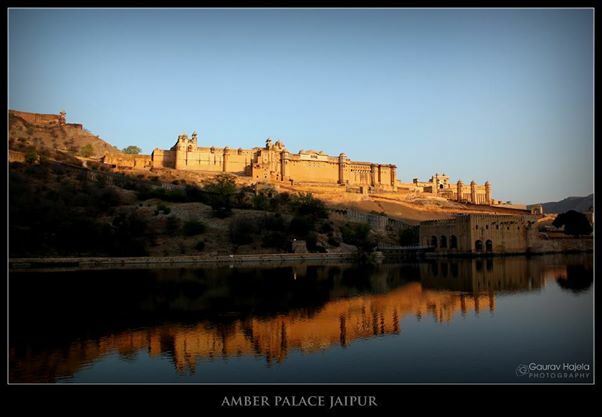 Located 80 km away from Jaipur, this place is extremely popular for its historical ruins, roofless houses and the gorgeous backdrop of Aravallis that will make your time picture perfect – literally. 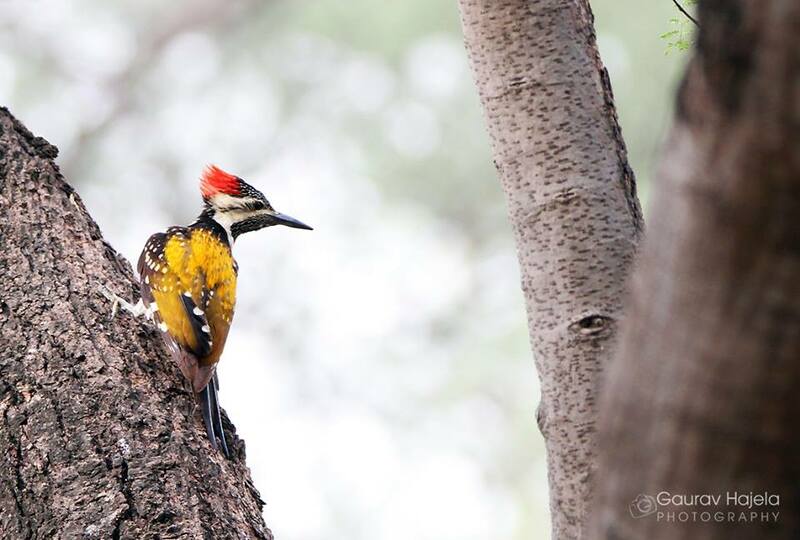 Located on the famous JLN Marg in pink city, as you move around the twisting tree-canopied walkways of this forest escapade, Smriti Van, you will know what a heaven of birds looks like ! Apart from capturing the bright greens of monsoon, if you are fond of bird photography, you will get some extremely colorful and varied birds to click in different angles. Panna Mian ka kund or stepwell near Amber fort is one of the treasured places which if visited during Monsoon, you will remember it through out your life ! Although all the stepwells have their own magical aura, this one is comparatively less populated and shines out its real vibrancy during rains. 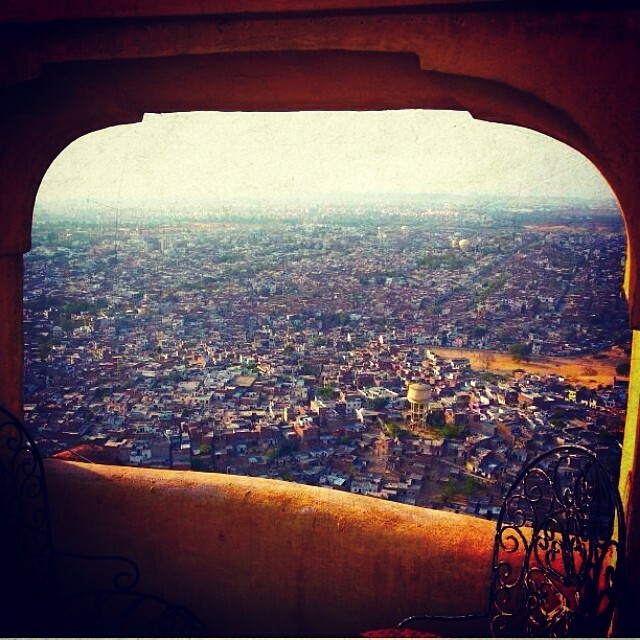 Lying on the edge of Aravalli hills, Nahargarh fort has been a romantic spot in Shuddh Desi Romance, a Friends’ hangout place in Rang De Basanti and a favorite among Jaipurites to visit especially in rains ! Just go up there, sit at Padao restaurant and you will automatically get your perfect shots. 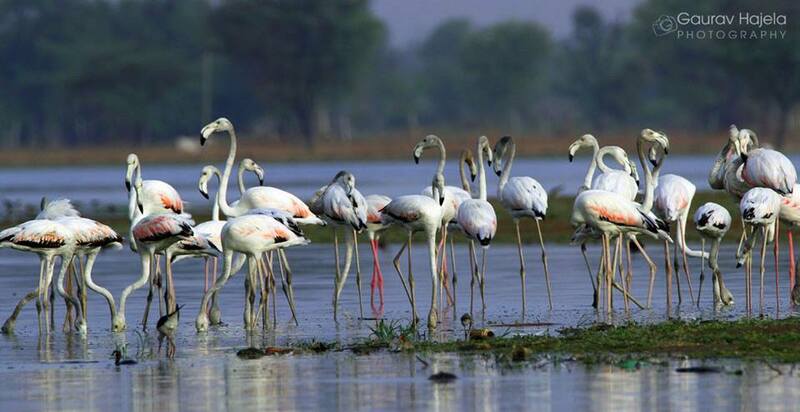 A very beautiful and small lake 30 km away from Jaipur , Chandlai offers another birding sight. The main attraction is the various Migratory birds seen at this place, especially Flamingos. 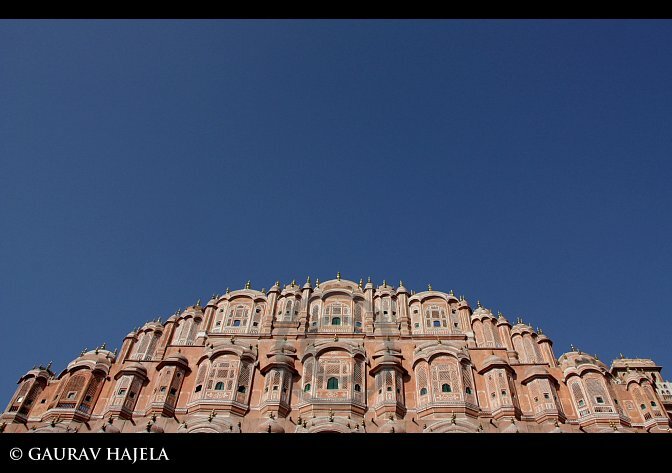 One of the most famous pink sandstone architectural marvels , Hawamahal situated at Badi Chaupad with five storeys and 953 windows is every photographer’s delight. But what’s challenging is how you make your click different from all others. Hawamahal is well lit and looks beautiful ,even at night ! Below the superb Amer fort, lies the Maota lake which swathes the pink city in its allure in the monsoons giving the residents and tourists a chance to stand near it and sip tea, while the photographers can find their right moment to capture this absolute visual delight ! 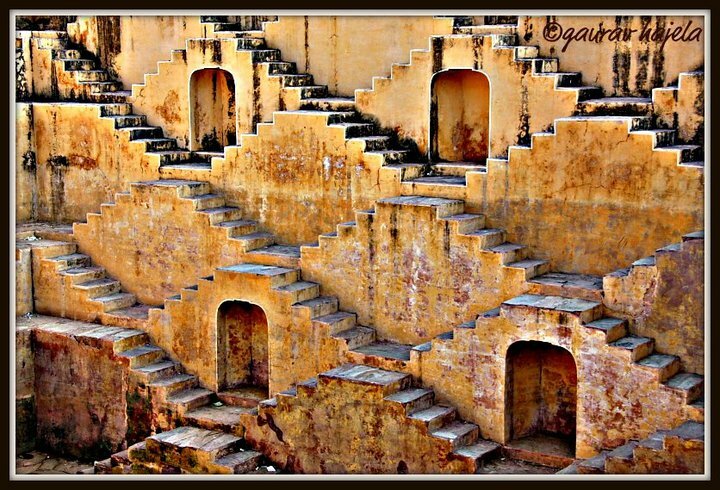 Next Post One day escape route to Bhangarh!